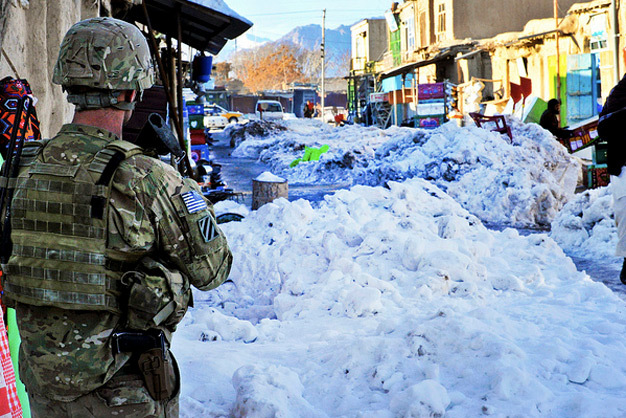 A soldier secures an area during a dismounted patrol in Muqer district, Ghazni province, Afghanistan, on January 29, 2012. Soldiers from Civil Affairs and Provincial Reconstruction Team conducted the dismounted patrol to engage elders and key leaders in the area. Photo by the US Army.